Pioneering American hip hop MC Kool Moe Dee (Mohandas Dewese ) was born August 8, 1962 He was prominent in the late 1970s through the early 1990s when In 1978 Kool Moe Dee formed the hip-hop group Treacherous three with L.A Sunshine (Lamar Hill) who grew up in the same neighborhood and Easy Lee (Theodore Moy’e) who they met in elementary school. Kool Moe Dee and Easy Lee both went to Norman Thomas high school where they met Special K (Kevin Keaton). DJ Easy Lee met Spoonie G through playing basketball and through his sister who knew Spoonie G. with occasional contributions from DJ Dano B, DJ Reggie Reg and DJ Crazy Eddie. They first appeared on record in 1980 on the B side of Spoonie Gee’s single Love Rap. When Spoonie G left the group, Kool Moe Dee replaced him with Special K. Although he technically had left the group Spoonie G was still affiliated. Spoonie G released a single called Spoonin Rap with the record label Sound of New York, after his relationship broke down with the label he got a deal with Enjoy records which was owned by his uncle Bobby Robinson. He managed to persuade his uncle to let the Treacherous Three to do a song on the B side of his first single with Enjoy which was called Love Rap and the B side was the song New Rap Language, which was released in 1980. New Rap Language was popular and made the group famous for the fast rapping style they used (dubbed speed rapping), which would be what they were originally known for. In 1980 they also released Body Rock, which was one of the first records to mix hip-hop and rock and roll. They also released At the Party, Put the Boogie In Your Body and Feel the Heartbeat (1981), the latter of which was very popular at the time. The group approached Bobby Robinson to express their unhappiness with the money they were making at the time; the group received $3,000 each for each record they made. In 1981, they moved to Sugar Hill Records. Their first single at Sugarhill was Whip It which featured singer Philippé Wynne, formerly of the Spinners, which was very popular at the time. That single sampled The Dazz Band 1982 hit “Let It Whip”. They then released the song Yes We Can-Can which followed on from the political trend that was set by the Grandmaster Flash and the Furious Five’s single “The Message.” In 1983, they released Action, Turning you On and Get Up. In 1984 they released, Xmas Rap and Santa’s Rap. By 1985 the group was being overshadowed by other groups such as Run-D.M.C. and L.A Sunshine was getting increasingly frustrated with their financial situation at Sugarhill and eventually became disillusioned with making records. During this time many of the groups signed to Sugarhill Records were put on suspension and Special K and L.A Sunshine didn’t want to make any more records for Sylvia Robinson (the co-owner of Sugarhill). Kool Moe Dee was the only MC in the group that was still actively working for Sugarhill, writing for the Sugarhill Gang. In 1985 Kool Moe Dee managed to persuade Special K and L.A Sunshine to go back into the studio to record Gotta Rock. when it came to recording the B side to Gotta Rock, Turn it Up L.A Sunshine did not turn up to the recording session and Special K did not stay for the full session. Kool Moe Dee felt that Special K’s rhymes were not up to his usual standards and therefore left them out. This would lead to the rise to Kool Moe Dee’s solo career and the breakup of the group. The Group also had a short lived film career. Kool Moe Dee and L.A Sunshine had a brief cameo appearance in the movie Wildstyle, at the end of the film they are seen performing. Kool Moe Dee can also be seen briefly during the film as well. In 1984 they appeared in the film Beat Street, where they performed their song Santa’s Rap along with a young Doug E. Fresh. Kool Moe Dee later went on to appear in numerous films and Television programmes after the group split up. Kool Moe Dee released rap single “Wild Wild West” in 1988. In 1993, the group resurfaced to do a reunion album on Easy Lee’s record label Wrap Records. The album, Old School Flava was released in 1994. The first single released was “Feel the New Heartbeat” which was a remix of the original record “Feel the Heartbeat”, the new version included Doug E. Fresh. DJ Easy Lee expressed the view that one of the reasons that the album was not as well received as they thought it would be was because the new version of “Feel the Heartbeat” was almost exactly the same and that they should have released the posse cut “We Wit It” which featured Big Daddy Kane, Chuck D, Grandmaster Caz, Heavy D, Melle Mel, and Tito (of The Fearless Four); this song was a lot more popular but was never released as a single. In 1999 the group released Turn It Up which featured previously released records and was their unofficial greatest hits album. Since then the group has not released any new material. The Treacherous Three are remembered as the originators of fast rapping, they directly influenced MCs such as T La Rock, LL Cool J and Rakim. They are also known as the first MC’s to represent lyrical rap. They were also the first MCs to perform in Brazil, Holland, and Bermuda and were among the first MC’s to travel to approximately 14 other countries. Kool Moe Dee began a successful solo career in 1986 and is known for such classic hits as “Wild Wild West”, “Go See the Doctor”, “God Made Me Funke”, “I Go To Work” and “How Ya Like Me Now”. Special K put out his own solo single in 1987. L.A went on to choreograph all of Kool Moe Dee’s videos just as he did with all of the Treacherous Three’s shows. DJ Easy Lee moved on to producing music and took a job as National Director of Promotions at Itchiban records. After leaving the group, Kool Moe Dee attended the State University of New York at Old Westbury, where he received a degree in communications. In 1986, he went solo, releasing a self-titled album that ranked 83 on Billboard. He co-operated with the young producer Teddy Riley which contributed greatly to the new jack swing movement that would gain popularity in the years to follow. Kool Moe Dee then released a commecially successful second album, How Ya Like Me Now. And release his third album, Knowledge Is King in 1989. In 1990, he performed on Quincy Jones’ album Back on the Block along with fellow rappers Melle Mel, Big Daddy Kane and Ice-T. The album gained considerable critical and financial success and winning the 1991 Grammy Award for Album of the Year. In 1991, he released the album Funke Wisdom this was follwed In 1993 by the releaseof his greatest hits album which regained some of his former success and acclaim. In 1994, his album Interlude was released and failed to gain Moe Dee much of his former success of the mid ’80s. In 1993, he re-united with his fellow ex members of the Treacherous Three to release the album Old School Flava on Ichiban. His last commercial release was the single “Love Love/What You Wanna Do” which was released onSpoiled Brat Entertainment inc’. Facing a backlash and creative stagnation following their documentary/double album, Rattle and Hum (1988), U2 reinvented themselves in the 1990s through a new musical direction and public image with their 1991 hit album Achtung Baby and the accompanying Zoo TV Tour in which U2 integrated dance, industrial, and alternative rock influences into their sound and performances, and embraced a more ironic and self-deprecating image. Similar experimentation continued for the remainder of the 1990s with mixed levels of success. U2 regained critical and commercial favour after their 2000 record All That You Can’t Leave Behind. This was followed In 2004 By the album How to Dismantle an Atomic Bomb, which established a more conventional, mainstream sound for the group. Their U2 360° Tour of 2009–2011 is the highest-attended and highest-grossing concert tour in history. The group’s thirteenth album, Songs of Innocence (2014), was released at no cost through the iTunes Store. So far U2 have released 13 studio albums and are one of the world’s best-selling music artists in history, having sold more than 170 million records worldwide. They have won 22 Grammy Awards, more than any other band, and in 2005, they were inducted into the Rock and Roll Hall of Fame in their first year of eligibility. Rolling Stone ranked U2 at number 22 on its list of the “100 Greatest Artists of All Time”. Throughout their career, as a band and as individuals, they have campaigned for human rights and philanthropic causes, including Amnesty International, Jubilee 2000, the ONE/DATA campaigns, Product Red, War Child, and Music Rising. They have won Album of the Year twice, Record of the Year twice, Song of the Year twice, and Best Rock Album twice. Some of U2′s best known songs are: Beautiful Day, Elevation, Vertigo, New Year’s Day”,“Bullet the Blue Sky”, “With or Without You“, “Mysterious Ways“, “Get on Your Boots“, and “Magnificent“ “I Will Follow” “City of Blinding Lights. Rikki Rockett,(Richard Allan Ream), the American drummer with American glam metal band Poison was Born 8th August 1961,Poison achieved great success in the mid-1980s to mid-1990s. Poison has sold over 30 million records worldwide and have sold 15 million records in the United States alone. The band has also charted ten singles to the Top 40 of the Billboard Hot 100, including six Top 10 singles and the Hot 100 number-one single, “Every Rose Has Its Thorn“. The band become icons of the ’80s MTV era and have had widespread commercial success. The band’s break through debut album, the multi platinum Look What the Cat Dragged In was released in 1986 and they hit their peak with the second album, the multi-platinum selling Open Up and Say… Ahh! which became the band’s most successful album. The popularity continued into the new decade with their third consecutive multi platinum selling album Flesh & Blood. In the 90′s following the release of the bands first live album Swallow This Live, the band experienced some line up changes and the fall of Pop Metal with the grunge movement, but despite the drop in popularity the bands fourth studio album Native Tongue still achieved Gold status and the bands first compilation album Poison’s Greatest Hits: 1986–1996 went double platinum.In the 2000s, with the original line up back together, the band found new popularity after a successful greatest hits reunion tour in 1999. The band began the new decade with the release of the long awaited Crack a Smile… and More!, followed by the Power to the People album. The band toured almost every year to sold out stadiums and arenas. They released a brand new album Hollyweird in 2002 and in 2006 the band celebrated their 20 year Anniversary with The Best of Poison: 20 Years of Rock tour and album, which was certified Gold and marked Poison’s return to the Billboard 200 top 20 charts for the first time since 1993. Band members have released several solo albums and starred in successful reality TV shows. After 25 years, the band is still recording music and performing. Since their debut in 1986, they have released approximately seven studio albums, four live albums, five compilation albums, and 28 singles. Best known as the guitarist with British second wave ska band Madness Chris Foreman, was born 8 August 1956, London. nicknamed ‘Chrissy Boy’, Foreman started Madness with Mike Barson and Lee Thompson in 1976. Foreman was one of the group’s main songwriters, mostly writing music with other members, usually Suggs or Lee Thompson, providing the lyrics. After Madness disbanded in 1986 he formed a new band The Madness with Thompson, Suggs and Chas Smash but they broke up after releasing one album. Then he, alongside Thompson, created another group called The Nutty Boys with Thompson on lead vocals. They released an album called Crunch! in 1990. The band are now known as Crunch!, and play in London every couple of years. Madness formed in 1976. One of the most prominent bands of the late 1970s and early 1980s 2 Tone ska revival, they continue to perform with their most recognised line-up of seven members.Madness achieved most of their success in the early to mid-1980s. Both Madness and UB40 spent 214 weeks on the UK singles charts over the course of the decade, holding the record for most weeks spent by a group in the 1980s UK singles charts. 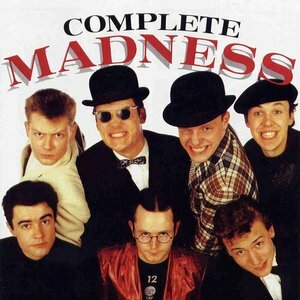 However, Madness achieved this in a shorter time period (1980–1986).Madness have had one UK number one single, with “House of Fun” and; two number ones in Ireland, “House of Fun” and “Wings of a Dove”.Foreman reunited with all seven original Madness members in 1992, but in 2005 announced that he was leaving the band. However, on Thursday 30 November 2006 it was confirmed that Foreman was returning to play on Madness’ forthcoming UK Christmas tour, and he has been with the band ever since.The same year he moved out of his Kentish Town home, settling in Brighton with his wife Melissa and three children. In 2006, Foreman began using a mobile phone attached to his guitar to record short videos from his position on stage during live Madness performances to provide fans with a unique perspective from the “guitar’s eye view”. He coined the term “Axecam” to describe this filming technique. By December 2008, he had acquired a higher quality digital video camera which he attached to the shoulder strap of his guitar using an “Axecam holder”, crafted by a member of the stage crew just before Madness went on stage at the O2 Arena on 19 December 2008. The new “Axecam” produced a far more stable picture and Foreman posted the first video from this performance (“It Must Be Love”) to the MadnessStudio2008 Channel on YouTube on 20 December 2008. Foreman also maintains a series of videos made with the Axecam entitled “Chrissy Boy Meets And Greets…”, in which he meets famous people that have either appeared alongside Madness at festivals, or that have attended awards ceremonies with Madness. Stars featured have included: Dizzee Rascal, Al Murray, Plan B, Alex James, Graham Coxon and Damon Albarn, former Madness singer/drummer/ manager John Hasler, all 6 members of the reformed Specials, ex-Bodysnatcher and Madness collaborator Rhoda Dakar, Martin Freeman, Eamonn Holmes, Jeremy Clarkson, Lulu, Peter Andre, and an Elvis Presley lookalike security guard from Australia. Welsh television writer and novelist. “Terry” Nation was born 8 August 1930 in Llandaff, Cardiff, Nation initially worked in comedy, entering the industry in 1955 after a (possibly apocryphal) incident in which Spike Milligan bought a sketch that he had written because he thought that Nation appeared hungry. During the 1950s, Nation worked with John Junkin and Johnny Speight for writers’ agency Associated London Scripts, where he collaborated on hundreds of radio plays for comedians such as Terry Scott, Eric Sykes, Harry Worth and Frankie Howerd. His career break came in 1962, when he was commissioned to write material for Tony Hancock – first for Hancock’s unsuccessful series broadcast on Associated Television in 1963, and then his stage show. Although Nation accompanied Hancock as his chief screenwriter on tour in 1963, Hancock would regularly neglect Nation’s scripts in favour of recycling his old material. Following an argument over this, Hancock fired Nation. BBC scriptwriter David Whitaker had been impressed by a script that Nation had written for the ABC anthology series Out of this World so he asked him to write for the BBC science-fiction programme Doctor Who. Nation began writing the second Doctor Who serial, The Daleks (also known as The Mutantsand The Dead Planet).Nation went on to contribute further scripts to Doctor Who. In 1965, Nation and Dennis Spooner co-wrote the 12-part serial The Daleks’ Master Plan, after which Nation, who still held the copyright to the Daleks, ttempted to launch a Dalek spin-off TV series in the United States. Various other Dalek tie-in material appeared, including comic strips in the children’s weekly TV Century 21 and annuals; such material was frequently credited to Nation, even when written by others. Between 1966 and 1972, appearances by the Daleks in Doctor Who became less frequent and were written for the series by other authors. in 1973 Nation returned to writing for the Daleks on Doctor Who with the Third Doctor serial Planet of the Daleks. In 1998, readers of Doctor Who Magazine voted Nation’s 1975 serial Genesis of the Daleks the greatest Doctor Who story of all time. This story features the introduction of Davros, the creator of the Daleks. Nation also wrote two non-Dalek scripts for Doctor Who, The Keys of Marinus in 1964, which introduced the Voord and The Android Invasion in 1975, which introduced the Kraal. Nation also contributed scripts to The Avengers, the Baron, The Champions, Department S, The Persuaders! and The Saint. Nation’s work on Doctor Who was also the subject of the documentary Terror Nation, a special feature on the BBC DVD release of the serial Destiny of the Daleks. Having returned to writing for Doctor Who, the BBC commissioned Nation to create a new science-fiction drama series. So he wrote Survivors, the post-apocalyptic story of the last humans on Earth after the world’s population has been devastated by plague. Although the series was well received, Nation’s creative vision conflicted with that of producer Terence Dudley, and the final two seasons were produced without Nation’s involvement. Nation was also involved in legal proceedings after screenwriter Brian Clemens claimed that Nation had stolen the idea for Survivors from him after he’d registered it with the Writers’ Guild of Great Britain in 1965. Nation denied the allegations. Although the case was ultimately brought before the High Court, it was subsequently dropped due to cost. Nation’s next BBC creation, Blake’s 7, followed a group of criminals and political prisoners who are on the run from the evil “Terran Federation”, piloting a stolen spaceship of unknown origin. Running for four seasons from 1978 to 1981. Nation scripted the whole of the first season, however his creative influence waned as script editor Chris Boucher exerted a greater influence on later seasons. In the 1980s, Nation attempted, without success, to secure funding for a fifth season of Blake’s 7. During the 1970s, Nation wrote a children’s novel for his daughter Rebecca (after whom he named the character of Rebec in the 1973 Doctor Who serial Planet of the Daleks) titled Rebecca’s World: Journey to the Forbidden Planet, as well as a novel based on Survivors. August 8 Is Happiness Happens Day. Happiness Happens Day was created In 1999 by the Secret Society of Happy people. The purpose of Happiness Happens Day is to share happiness and encourage people to talk and think about happiness and wellbeing and stimulate people’s right to express their happiness “as loud as they want”. The Secret Society of Happy People supports people who want to share their happiness despite the ones who don’t want to hear happy news. Their mottos include “Happiness Happens” and “Don’t Even Think of Raining on My Parade”. The Secret Society of Happy people was founded in August 1998 in Irving, Texas, by Pamela Gail Johnson. In December 1998 with the main idea of creating a “safe place” where people can share their happy moments, without being discouraged by the parade rainers. Since 1998 she has been managing the Society by writing posts, writing the newsletter, updating social media information and answering fan’s questions on her blog Ask Pamela Gail: Where Happiness Meets Reality. Each blog post is formed as an answer to the member’s questions submitted through the website. The purpose is to give people advice for handling their unhappy moments and learning the lesson out of each and every one of them. The column is posted weekly. Pamela is also the author of The Secret Society of Happy People’s Thirty-One Types of Happiness Guide released in November 2012 and Don’t Even Think of Raining on My Parade: Adventures of the Secret Society of Happy People. It gained international reception, when it challenged advice columnist Ann Landers for discouraging people from writing happy holiday newsletters enclosed with their holiday cards. In a letter to Landers, Johnson demanded an apology “to the millions of people you made feel bad for wanting to share their happy news.” The Society’s campaign persuaded Landers to change her advice on holiday letters, one of the rare occasions the columnist had a change of heart. Within the next few years the Society grew bigger being supported by thousands of fans from more than 34 countries. In 1999 the Society declared August 8 as Admit You’re Happy Day (now Happiness Happens Day). The idea was inspired by the event that happened the previous year on the same date- the first member joined the Society. In 1998 the Society asked the governors in all 50 states for a proclamation. Nineteen of them sent proclamations. In 2000 the Celebration of happiness was expanded Into Happiness Happens Month, and thanks to the support of not-so-secretly-happy members from around the world, the Society declared August as Happiness Happens Month. Every year, the Society organizes an online social media event known as HappyThon, on Happiness Happens Day. The aim of this event is to send inspirational messages via social networks, emails or texts, share happy moments, philosophy, quotes, etc. HappyThon is the first online social media event that promotes happiness around the world. Since 1998 the Society have been organizing voting and announcing the Happiest Events and Moments of the Year. Before the end of the century, a vote for 100 of the Happiest Events, Inventions and Social Changes of the Century was organized. In the third week of January the Society hosted Hunt for Happiness Week. International Cat Day is a celebration which takes place on 8 August, every year. It was created in 2002 by the International Fund for Animal Welfare. Cats have a high breeding rate. Under controlled breeding, they can be bred and shown as registered pedigree pets. 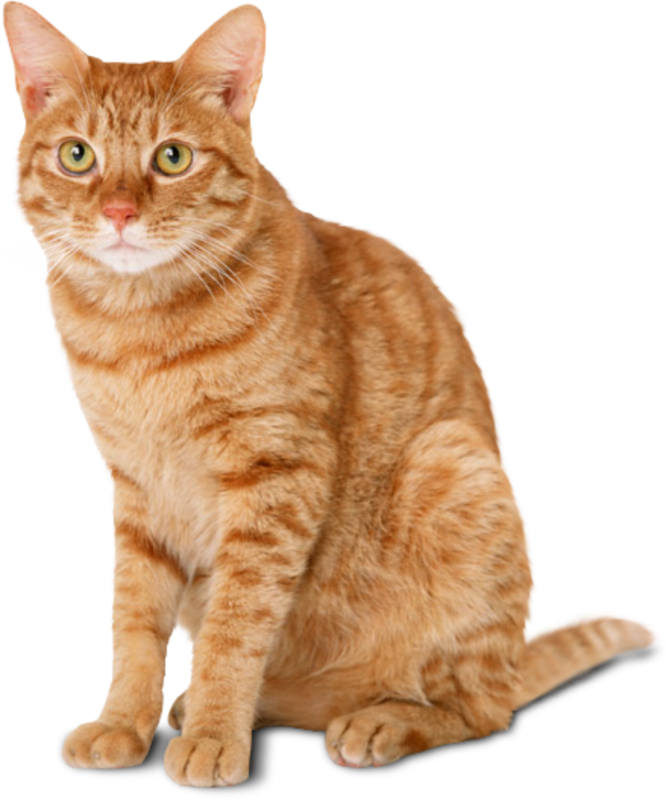 Failure to control the breeding of pet cats by spaying and neutering, as well as the abandonment of former household pets, has resulted in large numbers of feral cats worldwide, requiring population control. In certain areas outside cats’ native range, this has contributed, along with habitat destruction and other factors, to the extinction of many bird species. Cats have been known to extirpate a bird species within specific regions and may have contributed to the extinction of isolated island populations.Cats are thought to be primarily responsible for the extinction of 87 species of birds, and the presence of feral and free-ranging cats makes some otherwise suitable locations unsuitable for attempted species reintroduction. Because cats were venerated in ancient Egypt, they were commonly believed to have been domesticated there, but there may have been instances of domestication as early as the Neolithic from around 9,500 years ago (7500 BC). A genetic study in 2007 concluded that all domestic cats are descended from Near Eastern wildcats, having diverged around 8000 BC in the Middle East. A 2016 study found that leopard cats were undergoing domestication independently in China around 5500 BC, though this line of partially domesticated cats leaves no trace in the domesticated populations of today. A2017 study confirmed that domestic cats are descendants of those first domesticated by farmers in the Near East around 9,000 years ago. According to a 2007 study, cats are the second-most popular pet in the U.S. by number of pets owned, behind freshwater fish. In a 2010 study, they were ranked the third-most popular pet in the UK, after fish and dogs, with around 8 million being owned. (Cats own you). The International Fund for Animal Welfare (IFAW) was founded in 1969, in initial efforts to stop the commercial hunt for seal pups on the east coast of Canada. The International Fund for Animal Welfare has offices in 15 countries, and projects in more than 40 IFAW is one of the largest animal welfare organisations in the world. collaborating with elephant and rhino orphanages in Zambia, Zimbabwe and India, where the focus is on rescue, rehabilitation, release, and post-release monitoring and protection. tenBoma is IFAW’s counter-poaching initiative in Kenya, as featured on NBC’s Sunday Night with Megyn Kelly and PBS NewsHour. IFAW introduced The Meet Us Don’t Eat Us campaign to promote whale watching, as an alternative to whale hunting in Iceland. IFAW Carries out legislative and educational campaigns across the globe. This is an effort to try to prevent cruelty to animals, preserve endangered species, and protect wildlife habitats. IFAW has a leading role in the campaigns to end the commercial seal hunt in Canada and end commercial whaling, as well as its work to help dogs and cats in impoverished communities, protect elephants, end illegal ivory trade,rescue and release of wild animals such orphan rhinos and rescue of animals in the wake of disasters such as hurricane Katrina in the US.